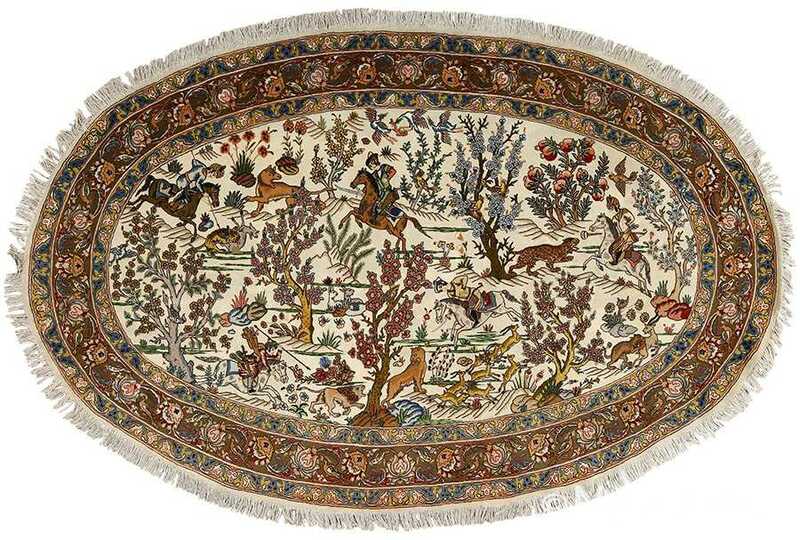 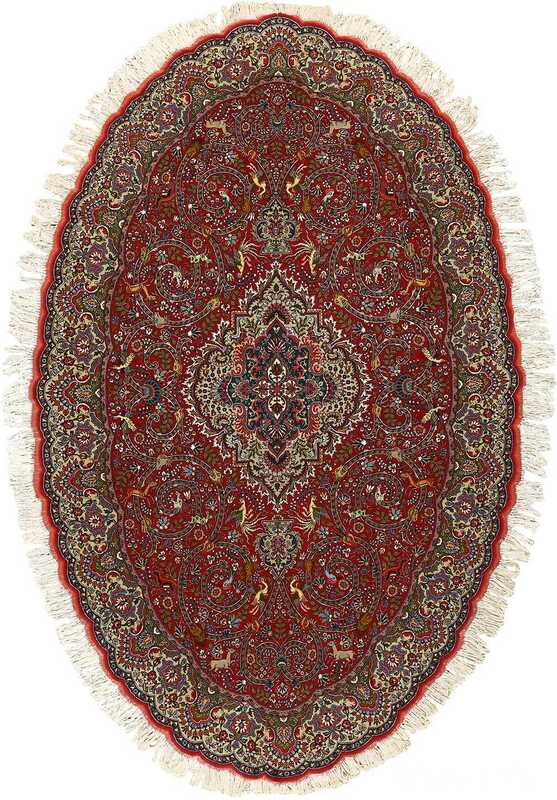 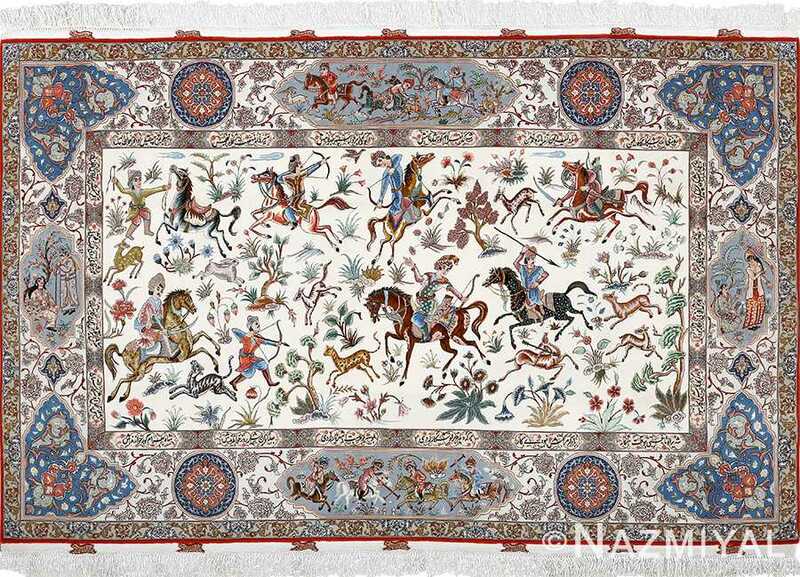 Beautiful Fine Vintage Tabriz Persian Rug 51158, Knots Per Square Inch KPSI: 550, Country of Origin / Rug Type: Vintage Persian Rug, Circa Date: Late 20th Century – Showcasing classic Persian rug design motifs, this beautiful vintage Persian Tabriz rug is a delight to behold, timeless in its presentation and classical foreground arrangement, especially when set with the appropriate elements within a home’s interior design. 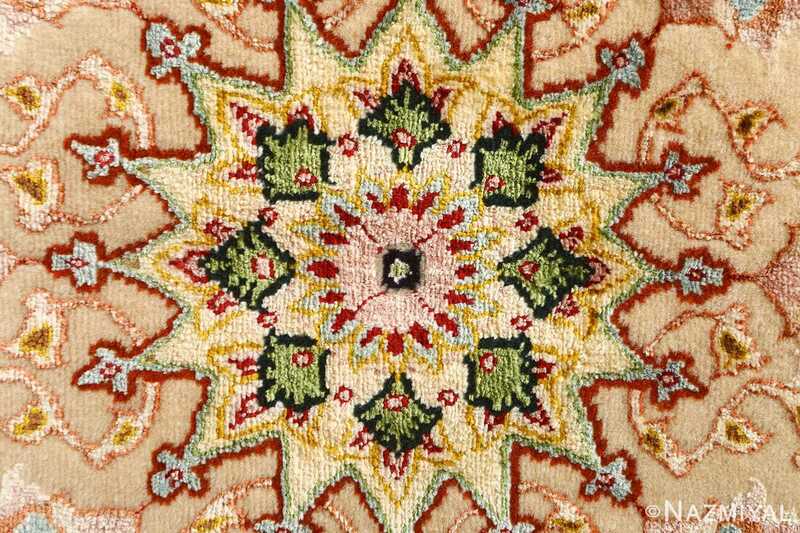 A ring of creamy yellow flowers en-wreathes the central medallion, a dizzying circular shape with the radial symmetry of a perfect snowflake. The lacy design draws on steely blue, light tan, spring green and gentle white. 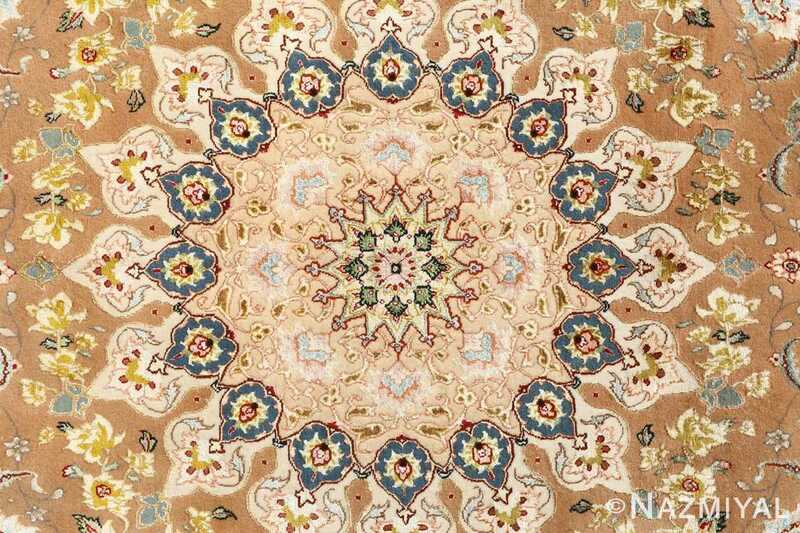 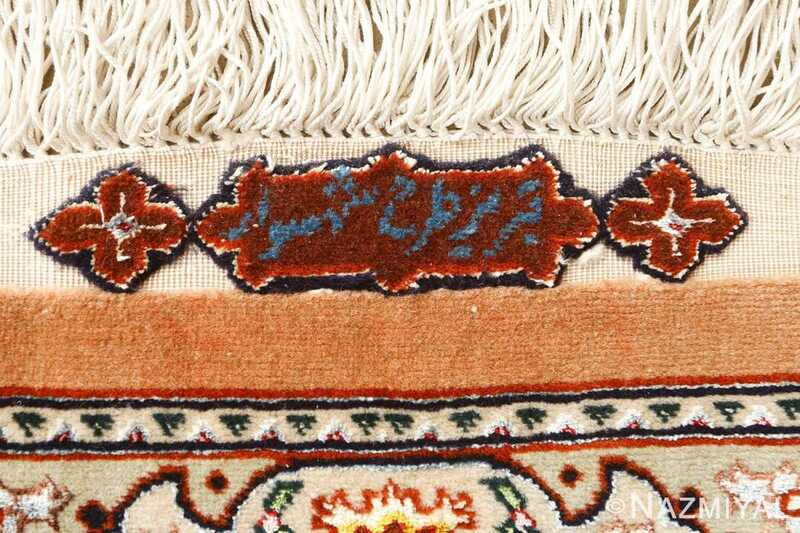 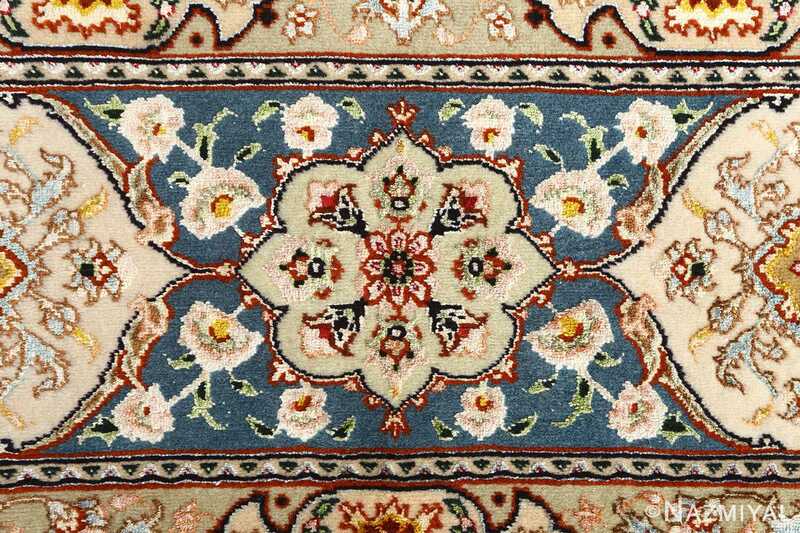 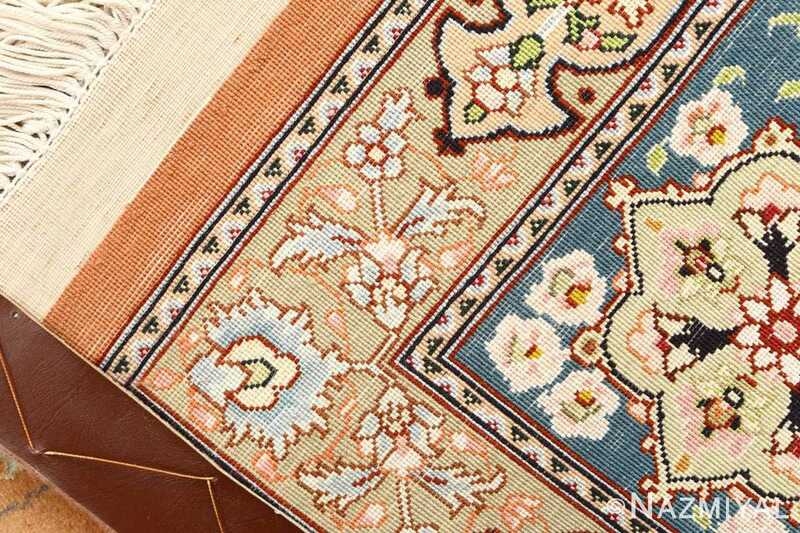 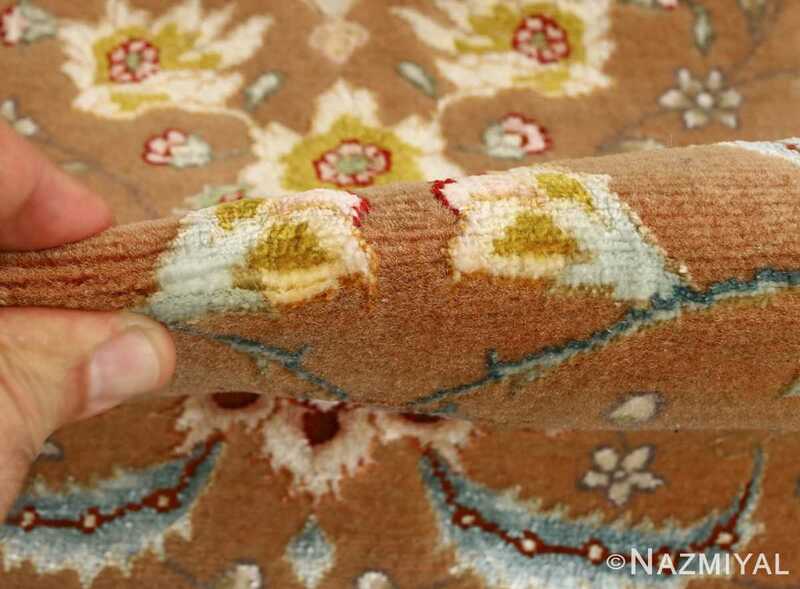 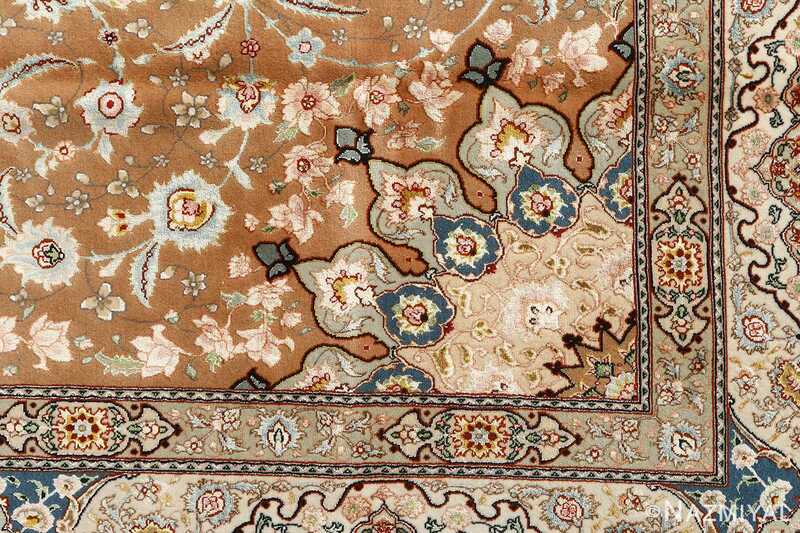 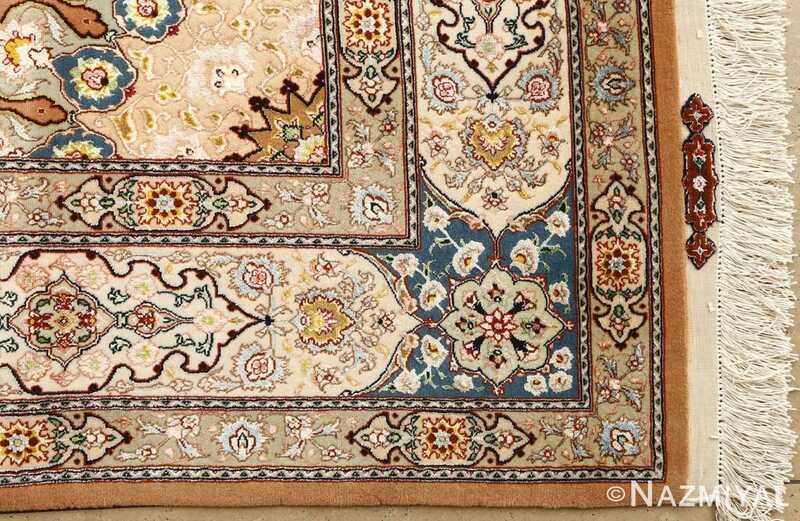 The earthy hue of the background adds an immediacy to the vintage Persian rug, balanced with blushing, pale blossoms. 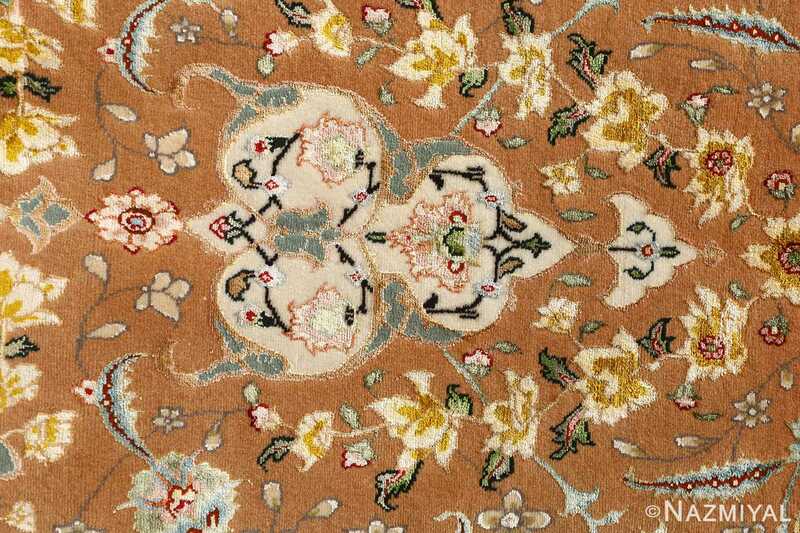 Each corner is ornamented with limned arabesques, peeking out like heavy blooms. 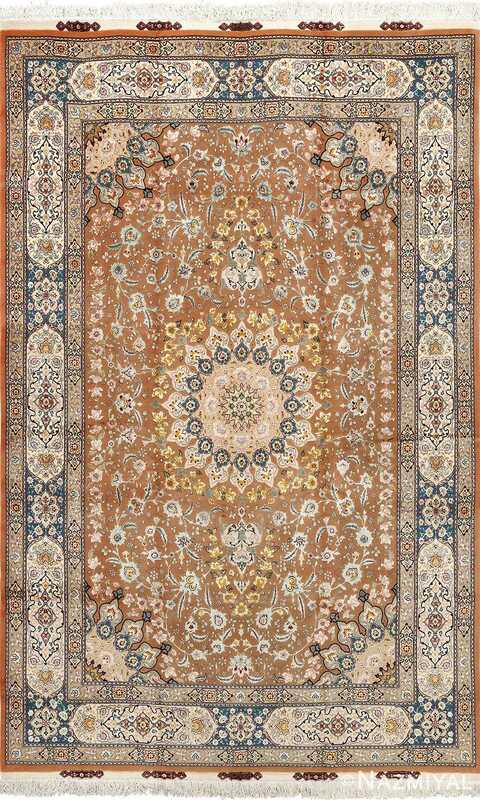 Delicate patterns trace along the trio of borders, echoing the colors and forms dominant across the fine vintage Tabriz Persian rug.